This Blog page will bring you positive suggestions for staying healthy and for fighting diseases the natural way. ~AND I WILL TELL YOU HOW HEALTHY YOU ARE! I once had terrible back pains that would keep me up at nights even to the point of tears and no relief was in sight! My GP told me that it was perhaps because I spent such long hours sitting at work and I was to just pick up some OTC medication for inflammation (such as Robax or Voltaren etc) . I did that but got little relief from it and of course the pains returned once the tablets wore off. So finally I went to a Naturopath and the very first thing he asked me to do was to stick out my tongue! Immediately as he looked at it he told me that I seem to have some blockage in my blood flow which could cause my organs (such as my lungs, my liver and kidneys) to function at a less than normal capacity as they were not getting enough oxygen! Go figure! He was able to tell me that just by taking one look at my tongue! Said tongue was a deep purplish dark blue by the way…and when he showed me his it was a nice healthy looking pink! He asked me if I loved to eat a lot of sweets … and of course I do have a very wicked sweet tooth! How on earth did he know that just by looking at my tongue? Well as it goes, if you eat too much sweets then your blood can get too thick and sluggish and your body does not get the right levels of blood flow! Anyhow he proceed to hook me up to this Biofeedback machine (which does a scan of your body similar to what an antivirus software does for your computer) and lo and behold it pinpointed that my lungs and kidneys (located exactly where I had the pains) were suffering from less than required oxygen levels and were functioning at like a 50 and 40 percent levels! Be blessed & stay healthy! Due to the overuse of antibiotics (including the high levels of antibiotics in meat production), superbugs have been developed in humans which are more resistant than ever. They are evolving at a rate that scientists are simply unable to keep up with for synthetic antibiotics! The last report about 3 years ago indicated that 2 million American adults and children become infected each year with antibiotic-resistant bacteria, and at least 23,000 of them die as a result of these infections. In the meanwhile, many others die from other complications from an antibiotic-resistant infection! 1. Garlic: This is one of the best natural antibiotic that you will ever find. Notwithstanding the very pungent smell of garlic it is one of the most flavourful or herbs! I love to use an entire head of garlic when cooking my meats. High heat however will destroy the active ingredient that allows it to heal so Its best consumed raw to be effective as an antibiotic. Chop, slice, crush or mince the garlic and let it sit for about 20 mins to activate the Allium Sativum ingredient which is effective at preventing and curing common colds among many other ailments. Add it to some honey (which is next on my list) and it becomes more palatable. 2. Raw Honey: Is also considered one of the best natural antibiotics, anti-inflammatories and antiseptics known to mankind. 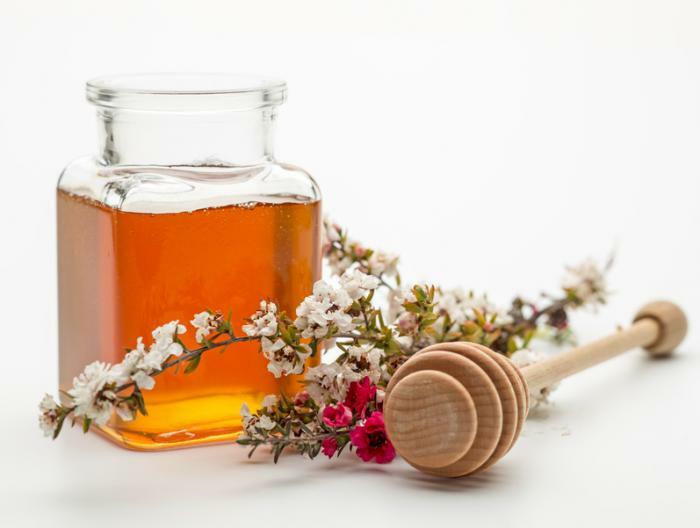 There are many types of honey however the Manuka Honey from New Zealand is known to have the highest levels of antioxidants and curative properties. An enzyme known as methylglyoxal actually releases hydrogen peroxide. This helps the body to fight infection and prevent the growth of bacteria. Honey also removes toxins from the blood and helps with the functioning of the liver. Raw organic honey is the best as honey that is pasteurized might have a reduced antioxidant effect. Add this to some Raw Apple Cider Vinegar (next on my list) as a daily natural supplement to remove toxins from your body. 3. Raw Apple Cider Vinegar (ACV): This helps to naturally alkalize your system (reduces the acidic levels so your body is in a better position to heal itself) and it has natural antibiotic and antiseptic properties. Raw ACV also helps with many other issues such as reducing Cholesterol levels and helps to lower blood sugar levels as well as helping to remove toxins from the body and reduce the risk of cancers. It can also be used topically as an astringent to sterilize and disinfect wounds. 4. 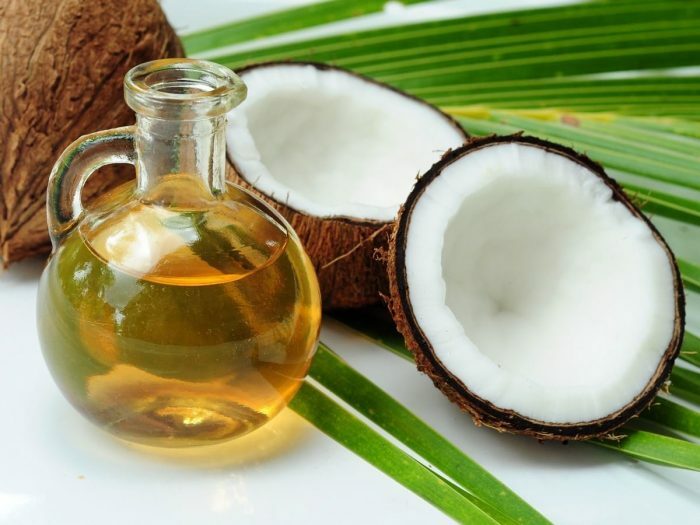 Coconut Oil (virgin): Growing up in the West Indies in the 80’s we were told that Coconut oil was bad for your health while people from the Philippines call the coconut tree “the tree of life”! Now whether that was a high level of conspiracy in order to push corn and other vegetable oils or whether they were just not enlightened as present I will let you be the judge of that, however Coconut has been found to have naturally occurring anti-fungal and anti-microbial properties and is packed with more antioxidants than one can find anywhere else in nature! It is also the oil that can best withstand very high heat without becoming toxic. I use it to cook every day and I absolutely love the flavor it gives to my dishes. Coconut oil can be used to boost the immune system, balance your blood sugar and cholesterol levels as well as your thyroid but even more impactful is the effect it has on the brain! Studies have now shown that it can even reverse the Alzheimer’s disease! Coconut is certainly one of the best gifts from Mother Nature! 5. Cabbage: Researchers have now identified over 20 different flavonoids and 15 different phenols in cabbage all of them demonstrating antioxidant properties! 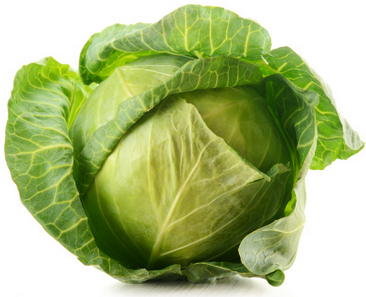 One cup of cabbage provides 75% of your vitamin C requirements for the day! Several studies have now also linked it with anti-cancer fighters. Shred some in you salad today! 6. Tumeric: This is the bright yellow spice that gives curries their rich colour and smoky flavor but it also has amazing healing properties! It is the compound called Circumin that is found in turmeric that has all these antibiotic effects by killing viruses and bacteria. Studies have even shown turmeric to be effective against the E-Coli bacteria which causes food poisoning. It acts as an antibacterial agent and can also be applied directly to the skin. A paste can be made of turmeric and Manduka Honey and applied directly to a skin infection. 7. 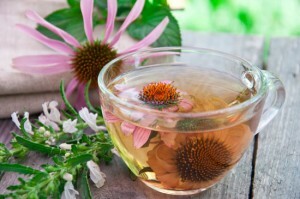 Echinacea: This is an amazing flowering herb which Native Indians in North America have been using for over 400 years to provide healing. It has antibacterial, anti-viral and anti-fungal properties and as such has many uses. It is best available as an OTC Supplement however and can be taken in tea form or as a liquid or capsule supplement. With all these items hiding in your kitchen cupboard why take synthetic antibiotics when they might not even work? Beats me! I am posting an email here from Ty Bollinger regarding the release of his 9 part series called The Truth About Cancer. It will be aired at 9PM every every night starting from April 12, 2016 so be sure to tune in. Just click on the link below and you will be able to watch it for free. This information needs to get out there so please feel free forward it to all your friends and relatives...especially those who are suffering from this madness called Cancer! Just wanted to remind you that “The Truth About Cancer: A Global Quest” 9-part docu-series opens tomorrow night, April 12th, at 9:00pm Eastern US Time. I will email you each day with the new link to watch, so be sure to keep an eye out for emails from me: The Truth About Cancer (info@thetruthaboutcancer.com) and be sure to whitelist/add me as a friend in your email system so my emails don’t end up in your junk/spam folder and you miss any of this! Please help me share this free docu-series with the world and let’s end the cancer pandemic, once and for all. © Copyright 2016, TTAC Publishing LLC, All Rights Reserved. application of this material to any specific situation. independent research before purchasing anything. - - How Toxic Is It? With the recent breaking news from the WHO that processed meats contain known carcinogens ranking as high on the list as cigarettes, I was immediately drawn out of my long revere and decided to put back on my blogging hat! This, because I had previously done a blog on the issue from as far back as April 2011 however now that the WHO has confirmed it perhaps persons might be more compelled to take notice! That being said I decided I would start a series on some little known highly toxic substances which we consume pretty much every day without recognizing the impact these are having on our health! The one which tops my list would be Fluoride – mainly because almost everyone consumes it every single day both in their drinking water and in their toothpastes. What is the impact of Fluoride on our health? Fluoride affects many tissues in your body besides your teeth! Fluoride is xenobiotic — it is a poison — not a nutrient. According to Dr. Kennedy (a speaker at the Healthy Mouth Summit), fluoride is harmful to the microbes that live on teeth and it damages the way the body makes energy, teeth, bone and blood. It increases mineral content but lowers the tinsel strength of bone and gets into the marrow and lowers the blood cell count — wrecking havoc with blood cell production and the strength of the bones and teeth. He’s not just saying that — a 2000 review of the literature by the British Government (University of York) found that there has not been a single properly conducted, high quality study to demonstrate that water fluoridation has benefits — in spite of over 50 years of water fluoridation. The Pineal Gland (which is about the size of a rice grain) is an extremely vital connection of the body to the mind/soul. It is even sometimes referred to as the Third Eye or the Mind’s Eye. It is also responsible for the production of melatonin from tryptophan. Melatonin helps to regulate circadian rhythm and plays a role in the timing of puberty. Deficiency in melatonin is linked to premature sexual development, insomnia, cancer, Alzheimer’s and mental disorders such as bipolar. Fluoride is said to be one of the main causes of the rampant calcification of the Pineal Gland. A blocked pineal gland is associated with several disorders and enzyme inhibitors including obesity, thyroid malfunctions, digestive disorders, kidney malfunctions, lowered IQ and many others. What can you do to avoid the above? -Take supplements and eat foods which will assist your body to expel toxins. Just recently I was introduced to the most amazing coffee I have ever had, which did not give me the jitters or caused any heart palpitations and most significantly it did not cause me to have a sleep deprived night even though I had it after 11pm! I have loved coffee from I was a child, however I have stayed away from it for years because of all the side effects I just mentioned, as some years ago when I was preparing for my designation exams and needed to stay up late at nights, I had a particularly strong brand (which will remain nameless here) and since then I have had all those reactions. So after experiencing this curious well tasting coffee, I sought to find out what made it so special and found out that it was infused with this incredible herb known as Ganoderma lucidum mainly found in Eastern Asia. I therefore decided to do some research on it myself to see if everything they were touting about his herb was true. Well whaduyahknow … I have discovered some awesome health benefits packed in this hardly known herb in the Western World! So as usual, in my quest to bring you information on little known natural health supplements I am sharing this information with you. So what is Ganoderma Lucidum? The lingzi mushroom is well known for its anti-cancer effects. It is able to activate natural killer cells, increasing their activity and the body’s ability to fight tumors. Supplementing Ganoderma lucidum reduces the chances of metastasis, which is when cancer spreads to another part of the body. Ø Herpes-related pain. Some people report that hot water extracts of reishi mushroom decreases pain when conventional treatment doesn’t work. Ø Boosting the immune system. Ø Chronic fatigue syndrome (CFS). Ganoderma though is not without its side effects: because of its potency in boosting the immune system, people suffering from Lupus and any other autoimmune disease which causes the body’s immune system to attack itself should not consume Ganoderma Lucidum. It also causes thinning of the blood (which is why it is so good with fighting heart diseases) and it can lower the blood pressure too much if it is taken while on medication for High Blood Pressure (so if you are on meds for hypertension or high cholesterol then perhaps you could cease taking them a bit and try Ganoderma lucidum for a while and you might find you do not need the meds again!). It has been found however that the benefits of Ganoderma lucidum greatly outweighs the cons. Having discovered all of the above I have therefore decided to keep Organo Gold’s organic coffee and teas as a permanent fixture in my tea cupboard! What do you have in yours? - The most nutritious food source in the world! Spirulina is a type of algae specifically a water plant that has been considered as a rich source of food. For a long time now, spirulina has been used as a dietary supplement. One of the Spirulina Benefits is that it is an excellent source of vegetable protein. The level of protein that spirulina contains is said to be higher than the ones found in beef and fish. It also provides a lot of multivitamins such as Vitamin B12 as well as minerals such as Sodium, Potassium, magnesium, iron and phosphorus. Spirulina is a great product that people can use to improve their overall health. Spirulina can help people prevent some serious health problems, such as allergies, diabetes, oral cancer, and obesity. Many doctors recommend the it and there is no side effect that can be caused by the consumption of Spirulina. Spirulina is green in nature, and hence it contains a significant amount of phycocyanin and chlorophyll, the latter absorbs energy from the sun to manufacture carbohydrates which boosts your energy. There are therefore several health benefits that individuals can experience by taking supplements that are made from these algae. So why not pay a visit to your health food store and pick up a bottle?